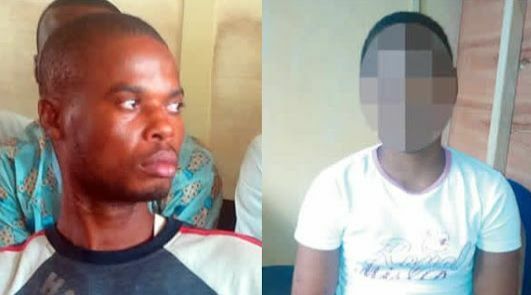 A 13-year-old girl has narrated how she was allegedly r*ped multiple times by her mistress’ husband, Mr. Ulonna Amaobi, at Iyana Iba area of Lagos. Mary, an indigene of Jos in Plateau State, was taken to Nnewi, Anambra State, by her elder sister to find her a better life as their father was financially challenged. According to the girl, whenever Amaobi wanted to come into her room to r*pe her, he held a knife to her neck to prevent her from screaming. The man allegedly continued the s*xual attack multiple times despite the girl notifying his wife. But on Sunday, October 22, 2017, he r*ped her again as usual and the girl ran out of the house to report what he had done again to his wife. It was learnt that Amaobi’s wife took the girl to a hospital to conduct a pregnancy test on her. Amaobi was finally charged with child s*xual abuse and child endangerment at the Ikeja Magistrate’s Court, Lagos on Tuesday, November 7.